Please note from 2020 the caravan site will be adult only! We are a 5 CL site for caravan club members. We offer hard standing and part grass. All 5 pitches have electric hook ups. There is access to a shower block with a shower, toilet, washing machine and tumble dryer (small surcharge for laundry facilities). Please be aware the site is close to lakes. To book please call 01258 820384 or e-mail todbermanor@aol.com. When booking we will need your membership number. £14 per night (£28 non-refundable deposit payable upon booking unless you are staying just 1 night) which includes electric hook-up. You must be a member of the Caravan Club to stay at our site. If you are not already a member you can join online at www.caravanclub.co.uk caravan club rules also apply. Your pitch will be available to you after 12 midday on the day of your arrival - please telephone us on 01258 820384 if you are arriving later than 6pm. Your pitch must be vacated by 12 midday on the day of departure. During your stay you are responsible for your pitch and are expected to take care of it, leaving it free from rubbish at the end of the hire period. The use of the pitch is at the hirers risk and we cannot accept responsibility for loss or damage to persons or belongings, nor for loss or damage to any vehicle or its contents. Pets are allowed on the caravan site and we ask that you consider other guests around you and remove their waste. Pets to be kept on a lead at all times. The fishing lakes are open daily from dawn to dusk. We allow night fishing but it must be arranged first. 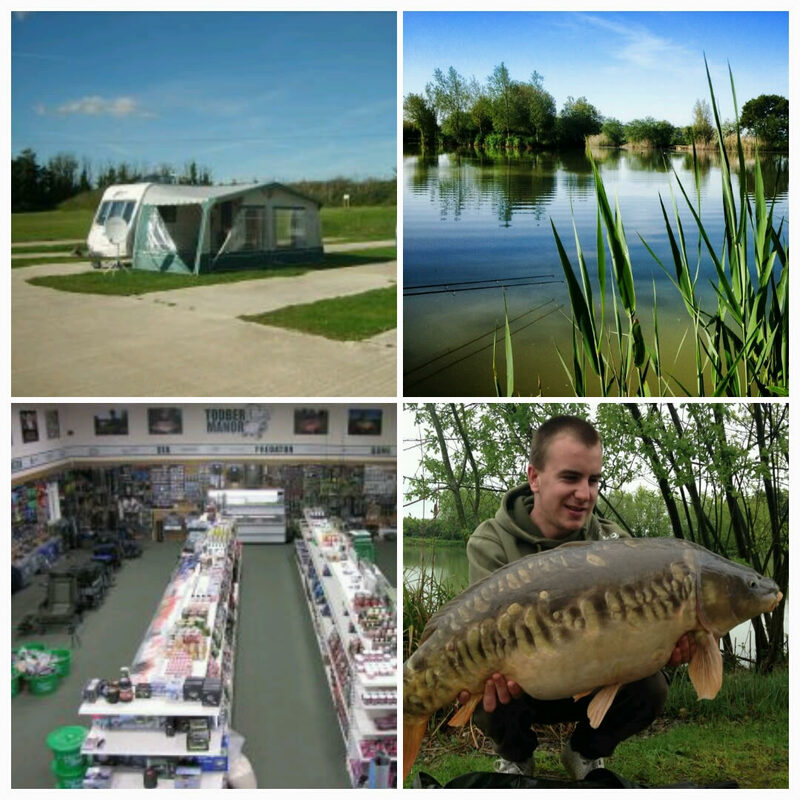 For tariff and full rules please see our web site, ask in the on site tackle shop or from the notice board in car parks. (Please note no discount is given on day tickets and must be purchased before commencing fishing). To book please phone 01258 820384.